PROPERTY NUMBER: HC4-T2 "LONE PINE CAPE"
DESCRIPTION: A property with unique features! This cozy cottage is quiet and secluded. 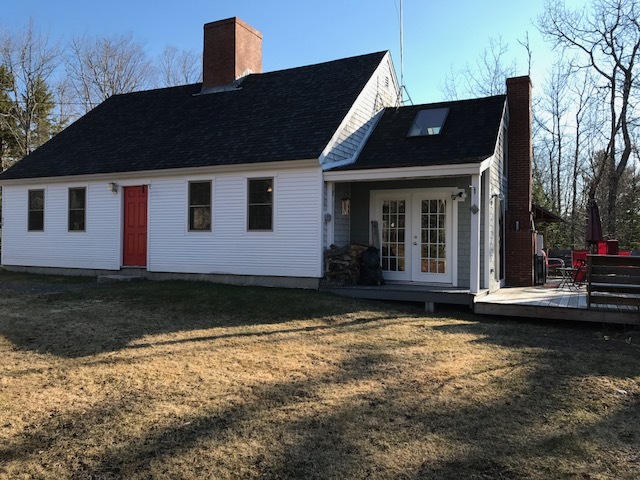 Conveniently located about 5 minutes from Downtown Blue Hill and 20 minutes from Ellsworth. 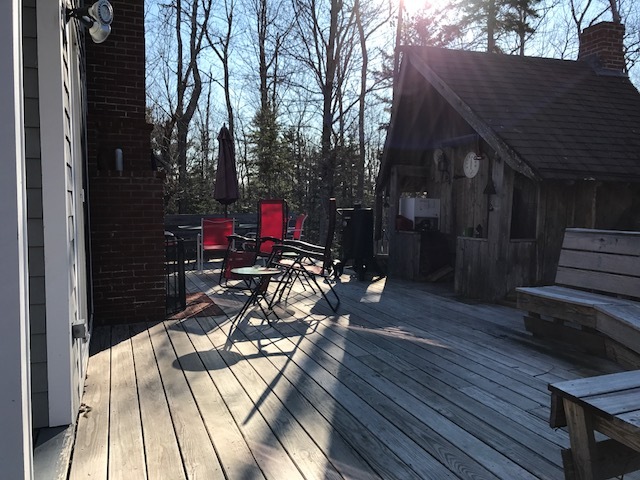 The perfect setting whether it be for star gazing in the evening or, cook a meal in the outdoors kitchen located on back deck, relaxing in the wood fired hot tub or sauna, or just sipping your morning coffee/tea on the farmers porch. LAYOUT: FIRST LEVEL: Entering into the kitchen, the master suite will be just beyond there with a double bed. To the right of the kitchen you will find the living room. The bathroom will be to your left. Through the living room is the Sun room with a couch. And from the sun room you can enter out the sliding glass door the back deck.